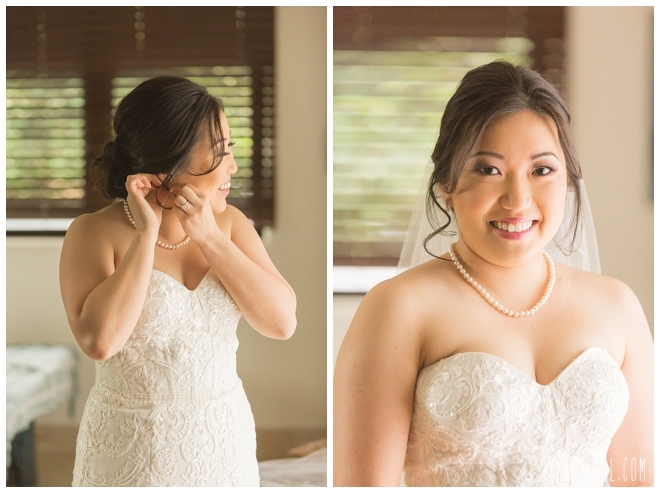 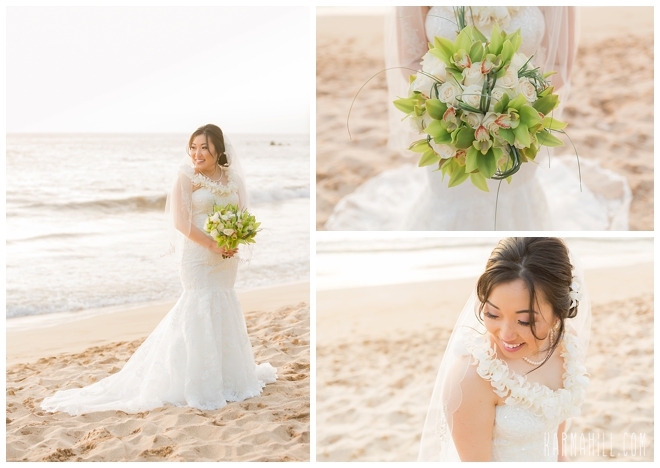 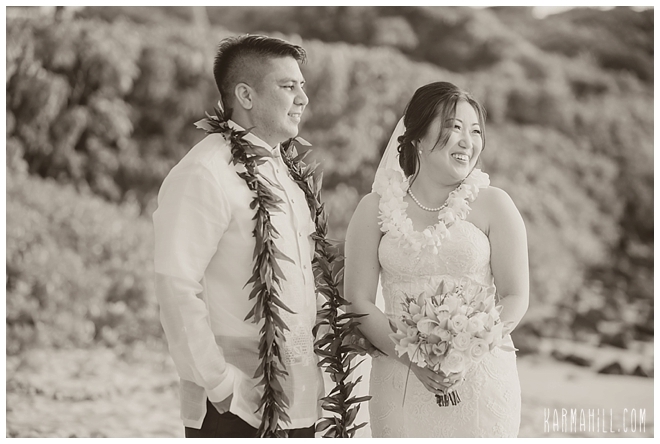 With the wind whispering in her ear, Esther was all stunning smiles on her Maui Wedding day. 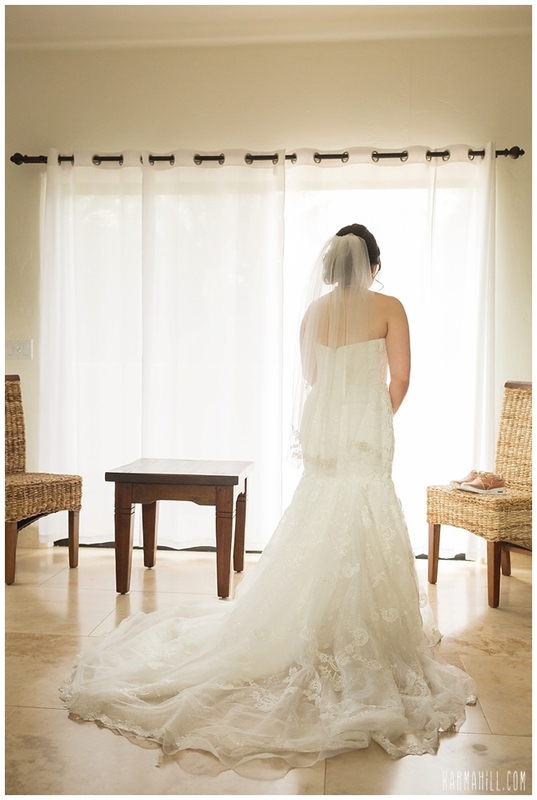 This was the moment she has been waiting for the last thirteen years. 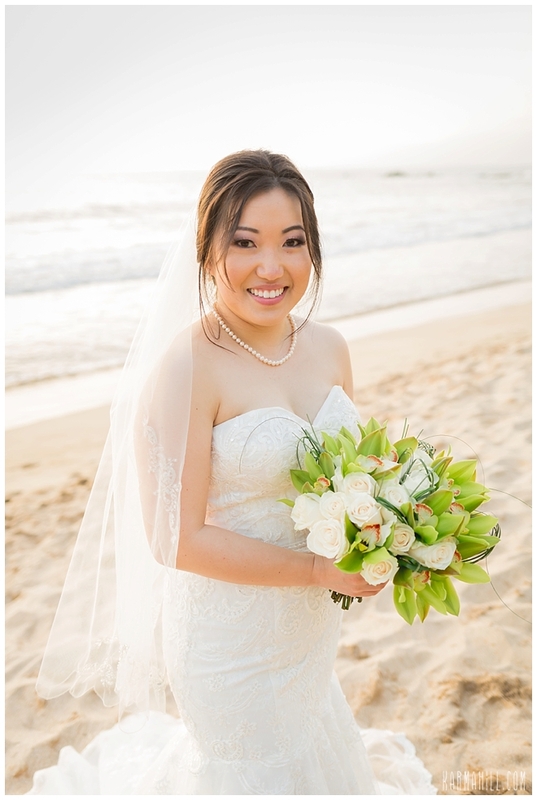 She now gets to call Rian her beloved husband. 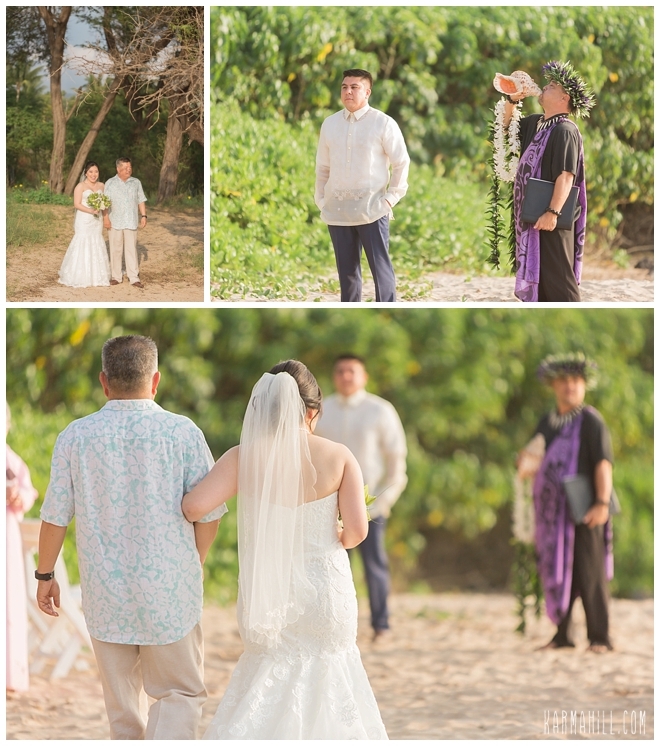 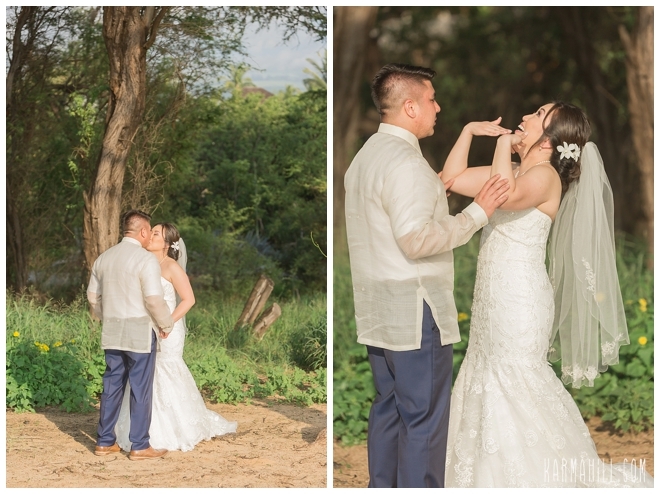 Our team started with coverage as these two love birds prepared for their special moment. 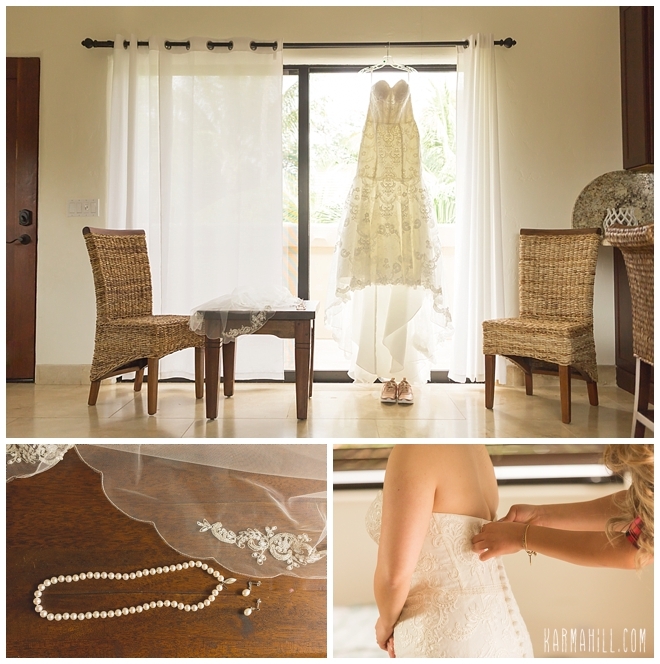 These quiet moments filled with excitement and anticipation make for such sweet memories to look back upon later. 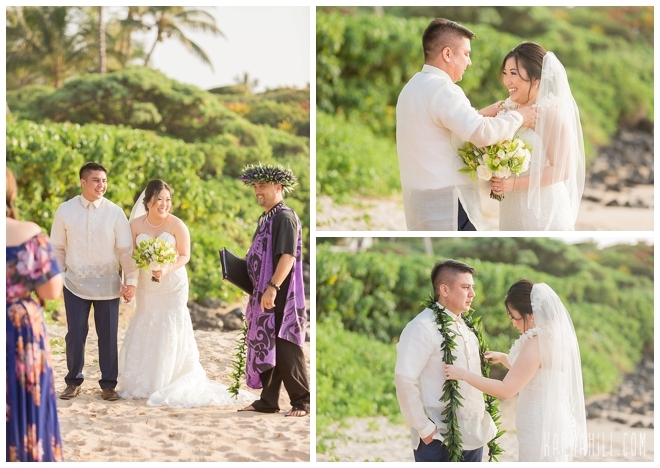 Once they were ready, a private moment before the ceremony allowed them to see one another and take a few minutes together to share in the euphoria. 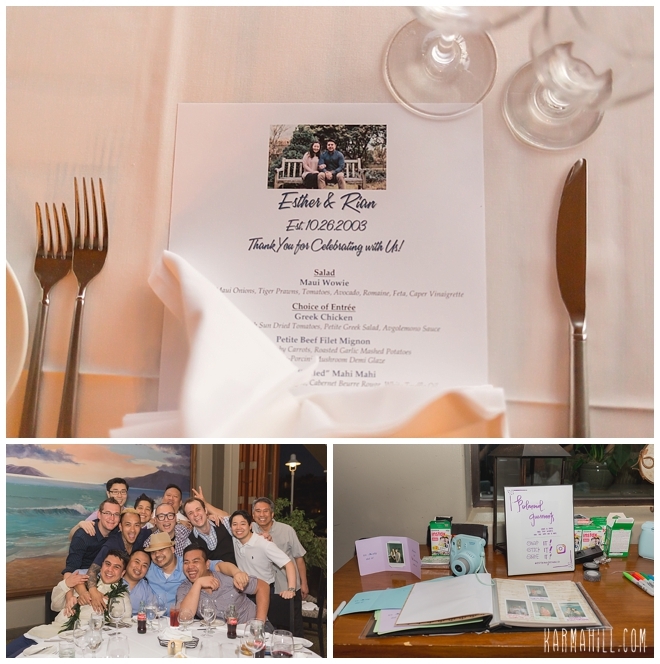 Then, with family and friends gathered around, and with Rev. 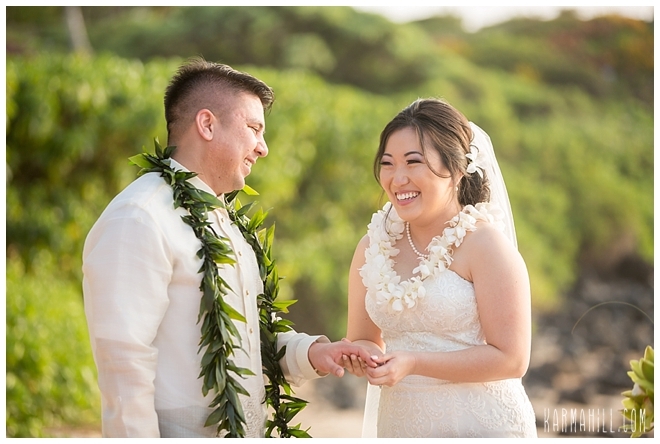 Kimo keeping them laughing, Esther and Rian exchanged vows and made a lifelong promise to one another. 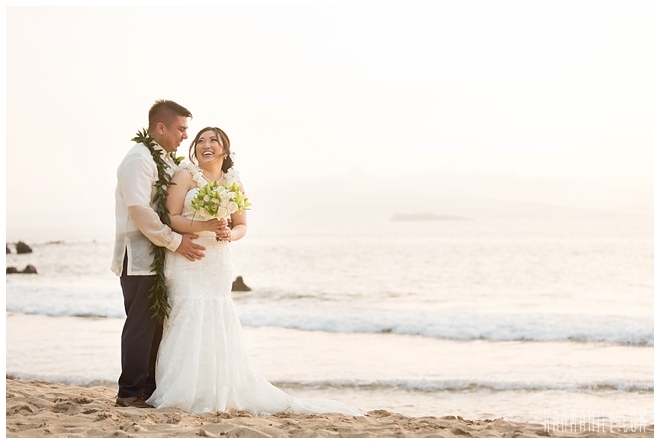 As the sun melted in to the sea, our newlyweds from the West coast shared an intimate moment to revel in their new found titles before joining their loved ones for a wedding dinner to remember. 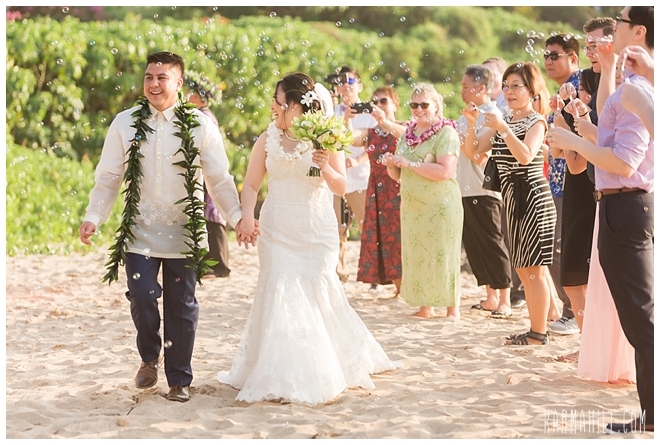 It was so a joy to be a part of this momentous time with two warm and caring people. 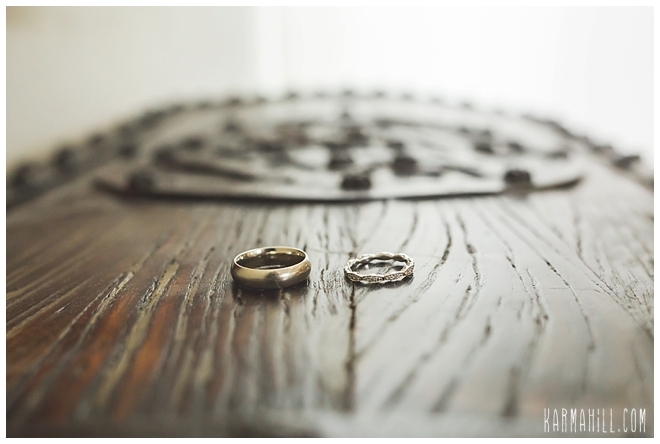 They are about to embark on one of life's greatest journeys together and we wish them all the best. 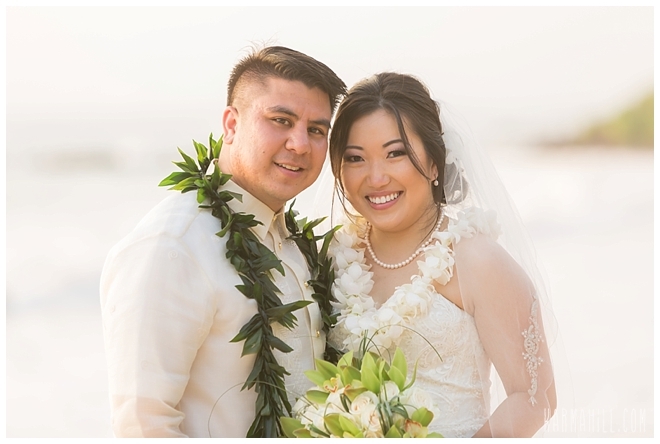 Esther and Rian, thank you for choosing our team!!! 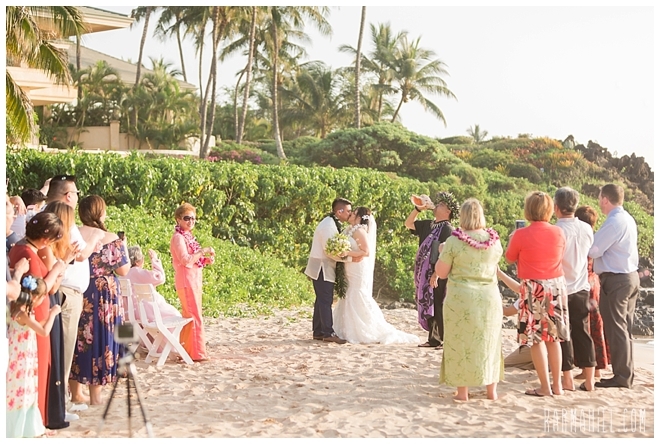 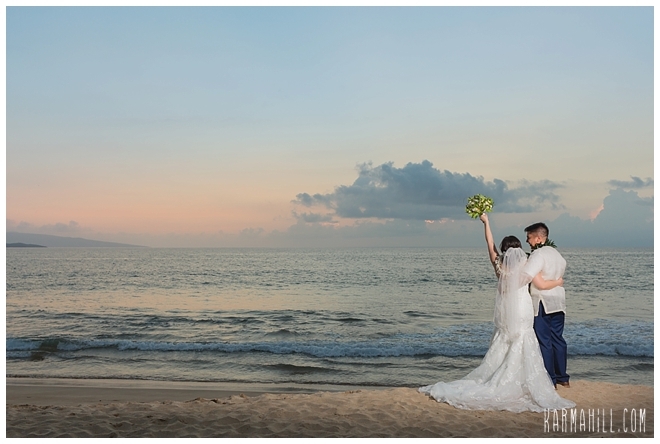 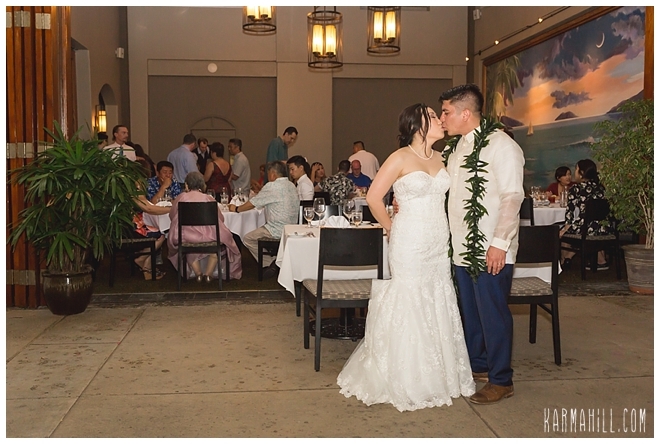 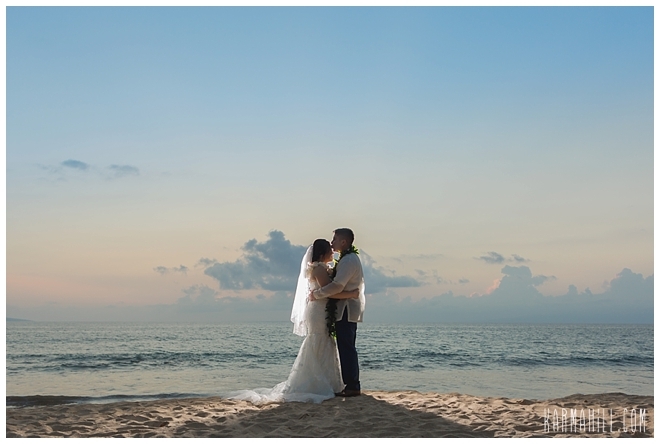 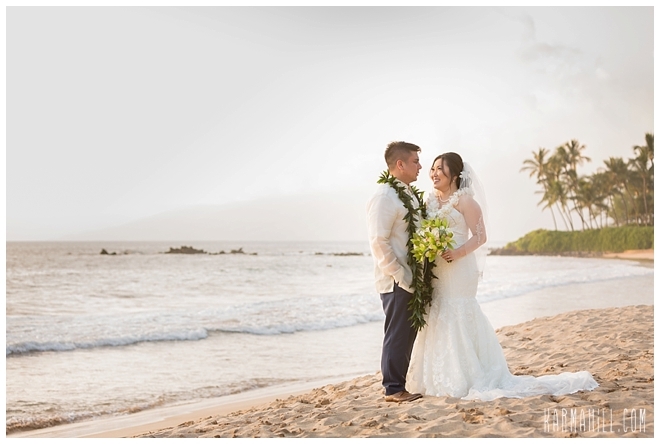 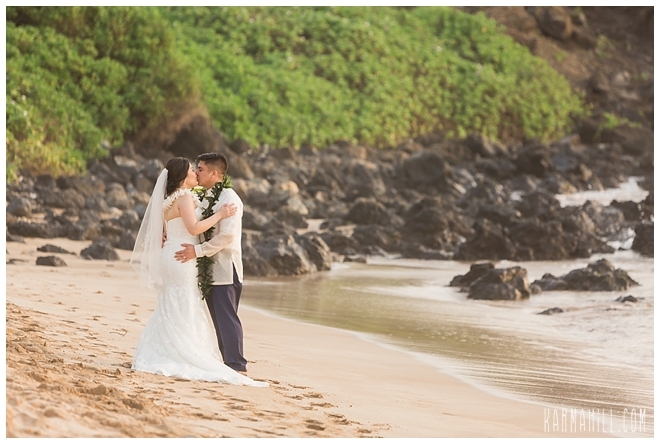 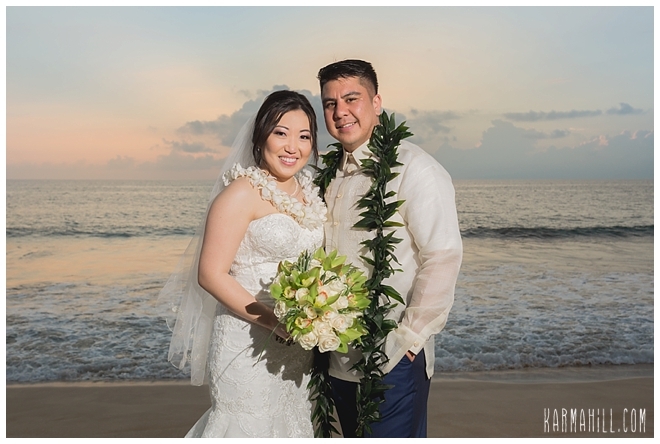 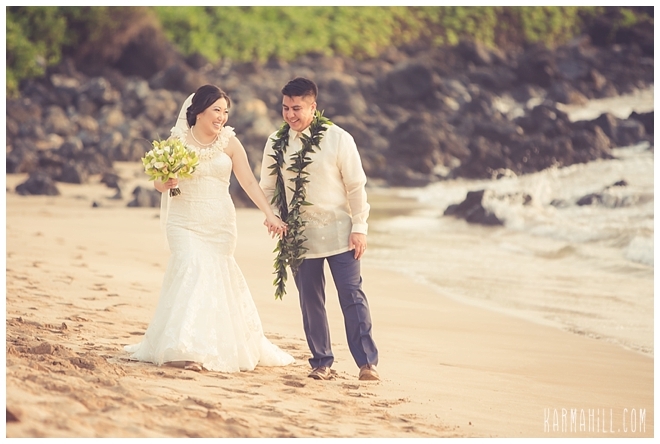 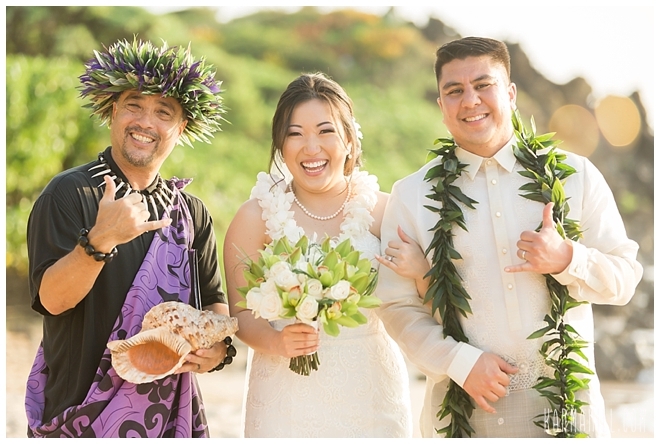 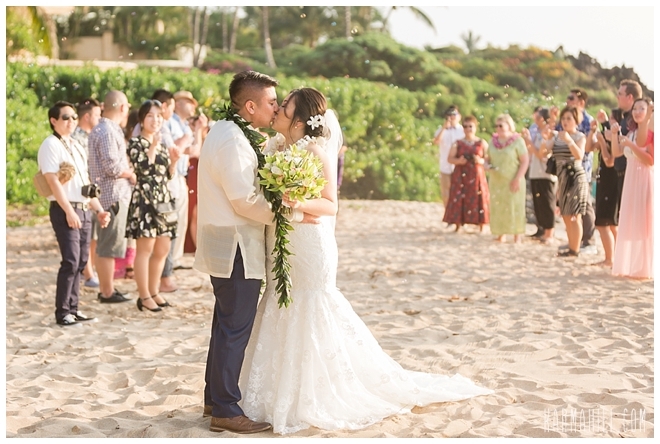 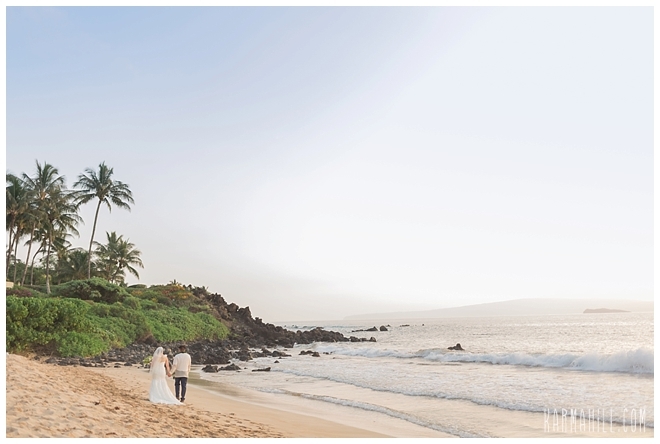 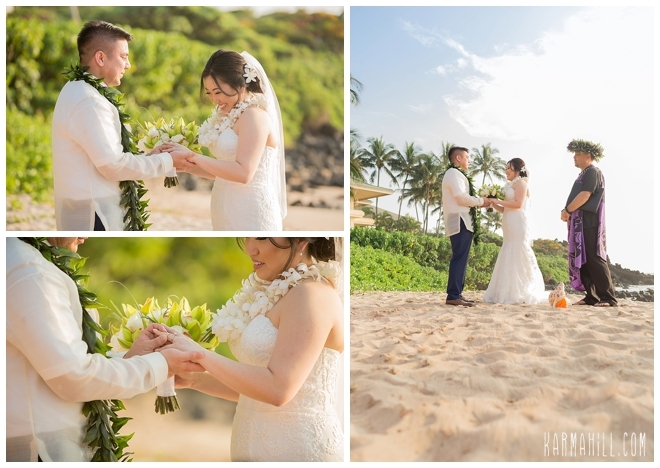 Check out our last Maui wedding with Jacqueline & Jonathan!